With the start of the official Fall season, I am sad to awaken to darkness–but constantly looking at the trees all around town and checking their colors. Living near Sacramento, which is “The City of Trees” and seeking fall changes means my eyes are checking out every parking lot as I drive by. Some Maple and Sycamore trees have red and the Walnut trees seem to have little patches among the branches of orange. 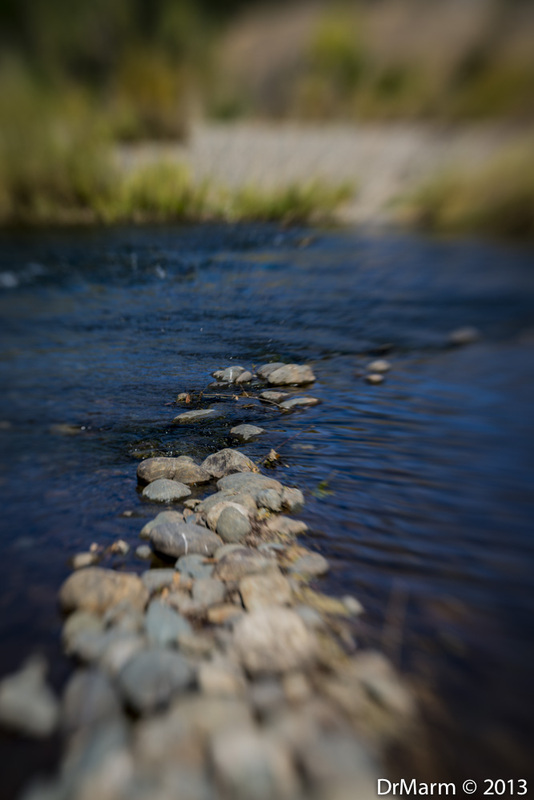 I have been enjoying a return to the Double Glass Optic and using an old favorite lens to many–but new to me, the Lensbaby Muse. 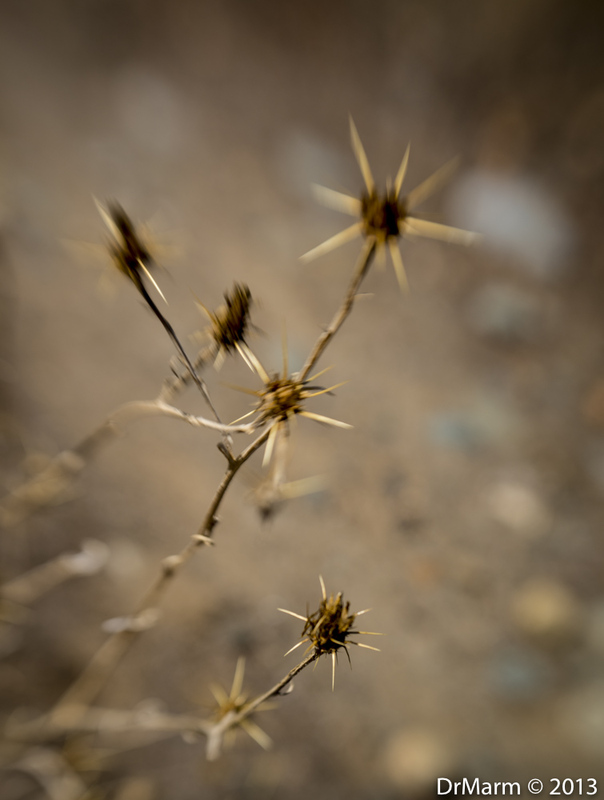 So exciting to be challenged with a new lens and fun to see the results. 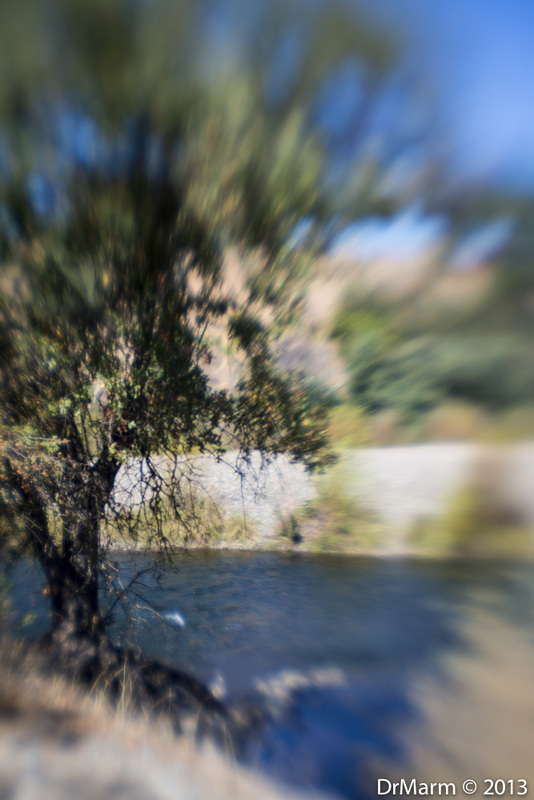 One of the best attributes for me, is the fact Lensbaby Lens are lightweight–for now, my biggest concern due to back and neck injuries. I happily gave up carrying a purse for a photo bag, so I would always have my Nikon with me and not miss opportunities. This means I am very content to get out of my car and check out views from various parking lots! 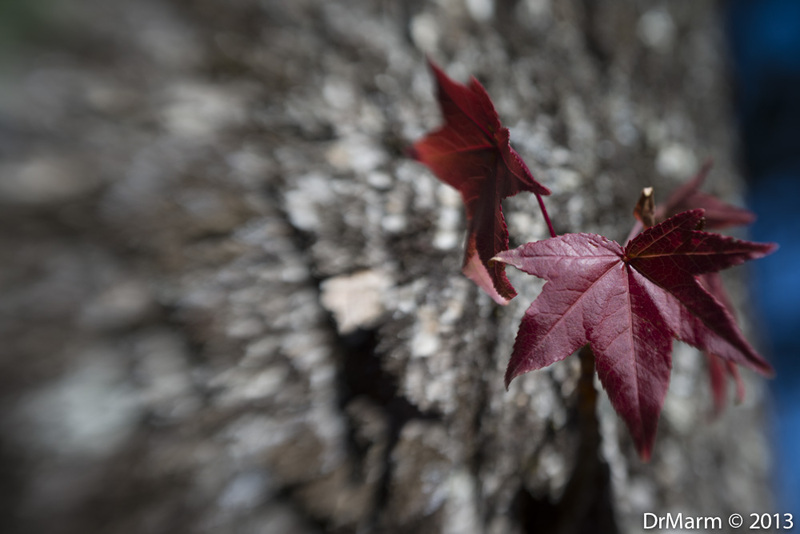 We are just getting a little bit of color in town…here is a shot from a tree surrounded by concrete. All you need is a little spot of color! One of my favorite locations is 5-minutes away by car. I do not visit there during the summer, as it is pack jammed with happy rafters on The American River. But now, I can return and run into very few folks. Just perfect for reflecting and shooting. 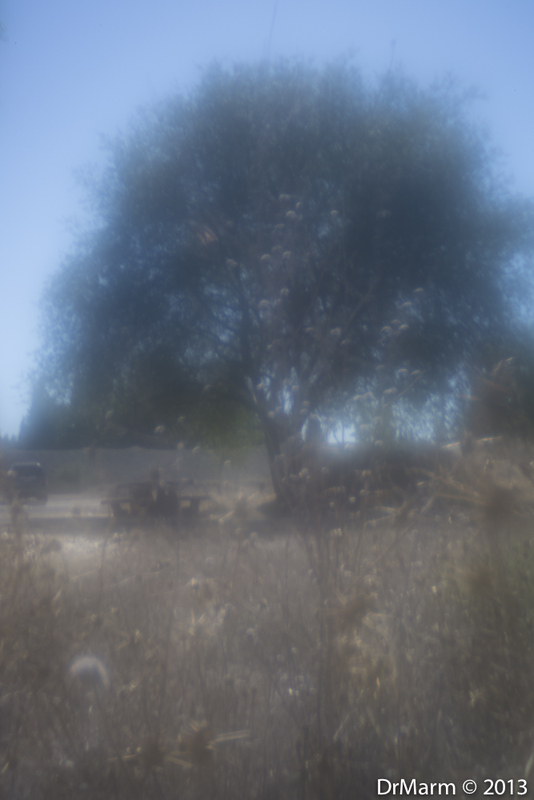 The seemingly foggy image is taken using the Zone Plate Optic on my Lensbaby Muse. The Pinhole/Zone Plate Optic uses Litho film which creates the hazy effect. My original subject was the weeds in front taken with a Plastic Optic. Our water level is low due to no real rain to measure yet this calendar year. Hoping our fall and winter are wet. A final view to share of The American River. This location is accessible by car, parking just a few 100 feet or so away. Happy Autumn or Spring, may you enjoy the colors that come with your season!